Holiday in the Coromandel…it’s good for your soul | Glass Bottom Boat - Cathedral Cove. Whitianga Boat Tour, includes snorkeling. An awesome Coromandel scenic tour. 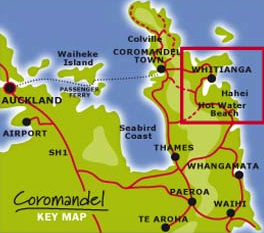 When it comes to planning your holiday you can’t over look The Coromandel. This stunning part of the North Island is home to some of New Zealand most fabulous beaches, stretches of coastline, native forests and mountain ranges. Each town in the Coromandel offers its own bit of magic plus plenty of activities and attractions to be enjoyed by all. Whitianga and the Mercury Bay area is a hot spot on the Coromandel with so much to offer! With all the amenities you need for a fab holiday and with the down to earth, beachside town atmosphere there is no need to look further. Spend some time on a pristine beach either relaxing by the water or getting active snorkeling, diving, surfing or paddle boarding. Pop on the shoes to talk a walk through many of the stunning day or overnight walkways. Take a Coromandel boat tour to explore Cathedral Cove, the amazing coastline and the marine reserve. The Glass Bottom Boat the best way to see the coast as you can see everything above and below the surface. There are different types of accommodation in The Coromandel to suit all tastes, and talking about taste there is some superb restaurants, bars and cafes to enjoy. Just ask us about all the fantastic activities you can do while in the Coromandel and let us help you organise the best Coromandel holiday ever! Check out Destination Coromandel’s new promotional video for a sneak peek of some of the cool things you can do while in the area. CLICK HERE for your sneak peek.